It’s the season of gratitude and Domingo and Calla (the queen of flowers) want to celebrate with the Mahalo Festival to honour their ancestors who first discovered the island and brought their people to this tropical paradise. The festival includes a huge luau, ending with a traditional canoe race just like the ancient voyagers used to have. With just 11 days to go before the festival, every islander will have to work hard to make sure everything’s ready in time! 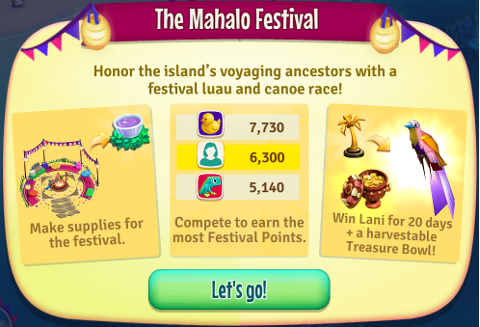 If you’re at least level 9, you will receive a pop-up to the Mahalo Festival event. You will need to force-close the game to see the update, or even reboot your device. 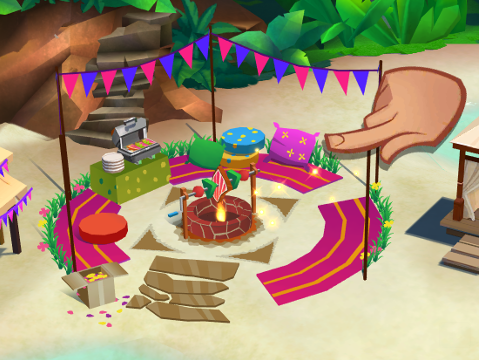 Start off the event by tapping on the Festival Luau area. It is a luau area near the beach which gets fixed and improved while you finish each stage. Craft items from materials found around the Voyager Canoe. The more items you find, the more rewards you earn. 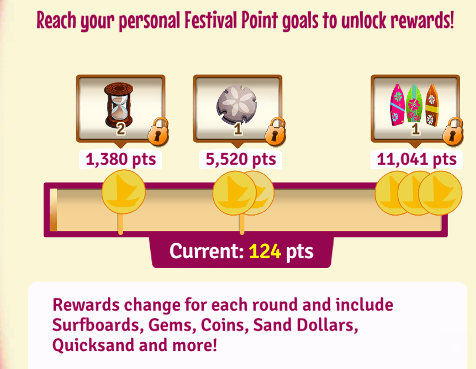 Reach your personal Festival points goal to unlock rewards! Earn Gold Rank at the end of Round 1 on November 22, 2018 to win Lani, Calla's ancestral guide, as your farmhand for the next 20 days! If you manage to stay in Gold Rank during the second Round, which ends November 28, you will also win a harvestable Treasure Bowl! 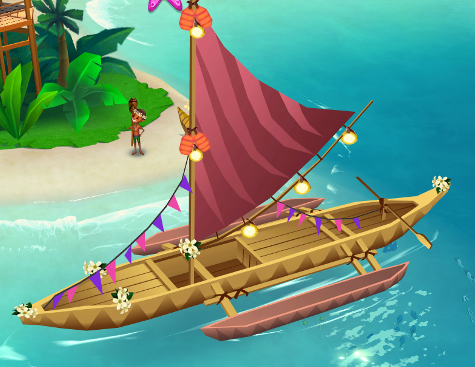 Watch out for Mahalo Cornucopia floating along the beach! Click on them to earn extra Festival points! 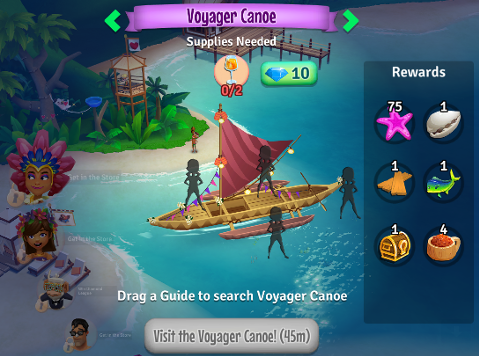 Guides can search for items around the Voyager Canoe to find ingredients and crafts to be used in decorating the luau area. This is a temporary area where you can search for event items needed during the The Mahalo Festival event. 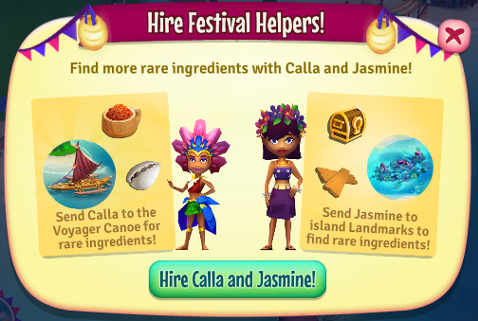 Temporary Guides: You can purchase Calla, the Queen of Flowers and/or Jasmine as Temporary Guides to help you out during the The Mahalo Festival event. They will give you a higher chance of finding rare ingredients and more!